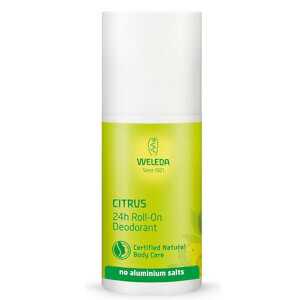 Keep fresh naturally with the Citrus 24 Hour Roll On Deodorant from holistic brand Weleda. 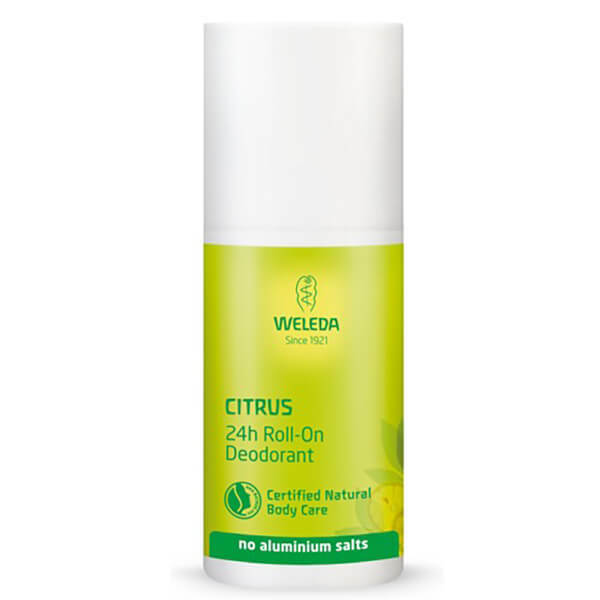 Free from aluminium salts and synthetic preservatives that can cause irritation and block pores, the all-natural formula helps promote a refreshing sensation with Lemon and Litsea Cubeba to help neutralise odours. Delivers long-lasting coverage in a convenient roll-on form for ease-of-use and on-the-go. Water (Aqua), Alcohol, Triethyl Citrate, Glycerin, Limonene*, Fragrance (Parfum)*, Sodium Caproyl/Lauroyl Lactylate, Glycyrrhiza Glabra (Licorice) Root Extract, Hamamelis Virginiana (Witch Hazel) Distillate, Acacia Senegal Gum, Xanthan Gum, Citric Acid, Phytic Acid, Linalool*, Citronellol*, Geraniol*, Citral*, Eugenol*, Coumarin*, Farnesol*. *From essential oils.